In 2015, Freedom for All Americans launched LGBT University, an ambitious training and development program for the next wave of campaign leaders. The program is designed to strengthen the movement to win non-discrimination protections for all LGBT Americans. The first cohort, comprising 16 apprentices from all across the country, wraps up the year-long program this fall, and the second cohort heads into its second in-person training event in September in Jacksonville. Training sessions for LGBT University have included every facet of running public education and political campaigns, including fundraising, field, communications and strategy. Our LGBT-U grads are ready to use the tools they developed at LGBT-U to defeat discriminatory legislation and advance LGBT non-discrimination nationwide in the months and years to come. 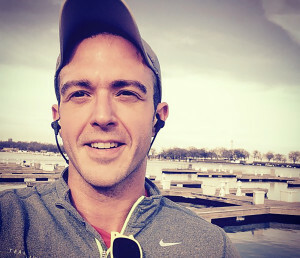 Matthew Zaradich has lived in Chicago for about ten years – but he’s a born-and- raised Hoosier who grew up in Hobart, a small city in Indiana. He attended Indiana University in Bloomington and, while studying theatre discovered a passion for activism and began building a career in the non-profit space. 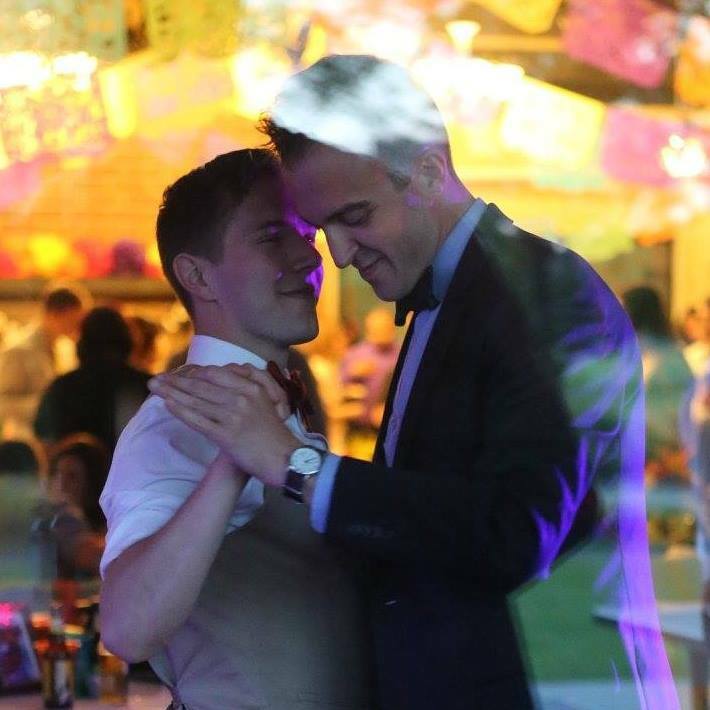 Now he is planning for his upcoming wedding to his fiancé Ben while working as the Assistant Director of Continuing Education at Erikson Institute, a graduate school focused on child development. He’s also the founder and director of Hobart: Open for All, the initiative to enact an LGBT-inclusive non-discrimination ordinance in Hobart. We spoke with him about how he realized his passion for LGBT equality, what he’s taking away from LGBT-U, and how he’s applying it directly to his work to advance non-discrimination in Indiana. How did you become passionate about LGBT equality and the fight to ensure no one faces discrimination because of who they are? In 2006, I was expelled from a tavern in Chicago because I’m gay. I was 24, and while it wasn’t the first time I had experienced discrimination, it was certainly the most frightening. I found legal representation and sued the tavern– and won. It was an eye-opening– and terrifying –experience. And it’s something I never want to have happen to anyone else in our community ever again. In 2008, like many others in the LGBT community, I woke up the day after we elected Barack Obama and was horrified by Proposition 8. Coupled with my previous experience of discrimination, this particular vote awakened a fire within me to do something – anything. I had to be involved. 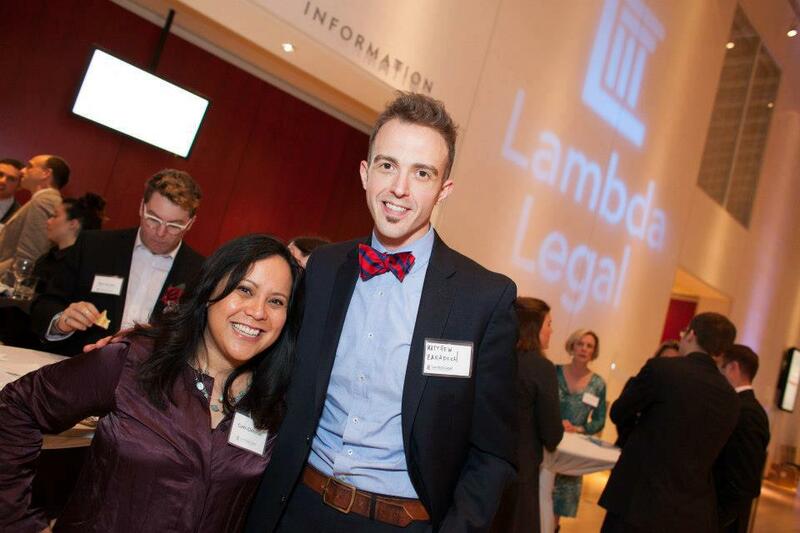 Since then, I’ve worked with a number of organizations that are dedicated to LGBT equality and liberation. 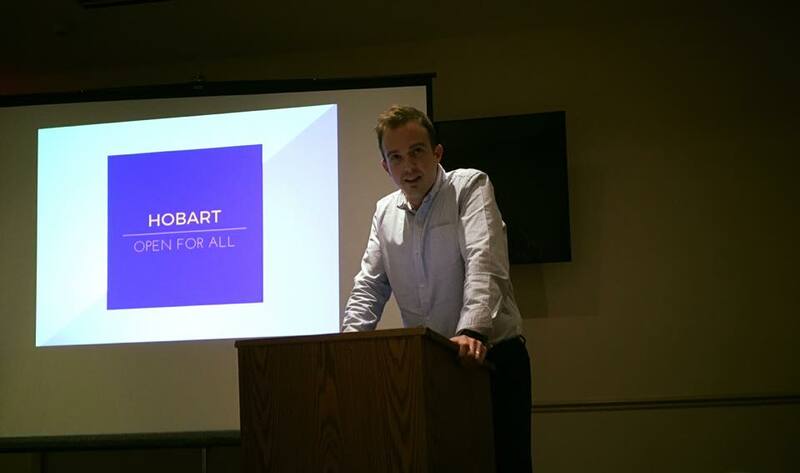 Most recently, I’ve created Hobart: Open for All, an initiative to pass an LGBT-inclusive non-discrimination ordinance in my hometown of Hobart, Indiana. What attracted you to apply for the LGBT-U program? I have the passion and the will to get things done – but I wanted the chance to take a deep dive into this incredible training program to get the savvy I need to make LGBT equality a reality, in my hometown, my home state, and beyond. I’m absolutely thrilled to be a part of this cohort of dedicated folks from around the country who all desire to enact change towards one end: equality and liberation for LGBT people. How has your faith impacted your commitment to this fight for LGBT equality? 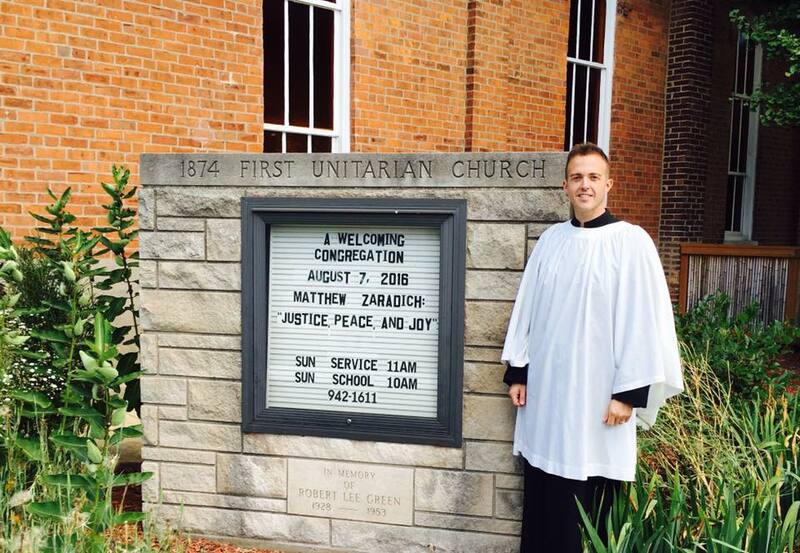 As an Episcopalian, this journey for me is also rooted in faith. I’m so incredibly thankful for this amazing opportunity to bring my thoughts and ideas to the table, and to learn from others at the same time. I truly believe in a world of justice and peace, and that it is possible for us to bring this world to reality. Let’s do it! Why do you think it’s important to fight for LGBT non-discrimination protections nationwide? I’ve lived out the protections that such ordinances provide – and I thank God for it every day. Without those protections, the tavern that expelled me would have been able to continue doing business as usual, and that’s simply not right. Businesses are not fiefdoms in America – they benefit from the public, and owe a debt to society for such benefit. This debt is simple: Treat everyone the same. Treat everyone fairly. Treat everyone with respect. Across this amazing country, too many LGBT people have faced (and continue to face) far worse discrimination than in my story. If we don’t fight for these people, who will? What is one thing you’re looking forward to learning from LGBT-U? Bridge building. It’s a challenge to work with people with whom you don’t normally agree. But, the reality is that we are a large and diverse nation, full of a plethora of ideas and beliefs. We will need to find common ground in order to make equality a reality. What have been some of your favorite parts of LGBT-U so far? What’s something that’s surprised you or that you’ve learned that has been especially interesting or helpful? My favorite part of LGBT-U has been getting to know my fellow apprentices. Together, we’ve formed a support network across the country that has been so very helpful in our own individual efforts to make LGBT equality a reality in every city, every state, every region across the country. I’ve been so surprised by the great warmth and openness of our instructors. These folks are the best of the best, fully engaged in equality initiatives across the country. That they’re taking time to help us grow into stronger leaders is so inspiring.